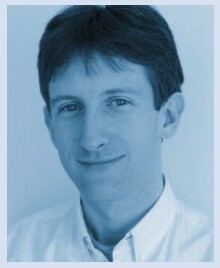 Dr. Steven Kelly is the CTO of MetaCase and co-founder of the DSM Forum. He has over twenty years of experience of consulting and building tools for Domain-Specific Modeling. As architect and lead developer of MetaEdit+, MetaCase's domain-specific modeling tool, he has seen it win or be a finalist in awards from SD Times, Byte, the Innosuomi prize for innovation awarded by the Finnish President, Net.Object Days, and the Software Development Jolt Productivity awards. Ever present on the program committee of the OOPSLA/SPLASH workshops on Domain-Specific Modeling, he co-organized the first workshop in 2001. He is author of a book and over 50 articles, most recently in journals such as IEEE Software, Computer Languages and OBJEKTspektrum. Steven is a member of IASA and on the editorial board for the Journal of Database Management, and regularly speaks at events such as SPLASH, MODELS and Code Generation. He has an M.A. (Hons.) in Mathematics and Computer Science from the University of Cambridge, and a Ph.D. from the University of Jyväskylä. His computer education began with machine code, Assembler and BASIC, and came to rest in Smalltalk. Outside of work, he co-authored the first grammar of the Kenyan Orma language, and kept a clean sheet in the highest scoring win in Finnish first-class soccer: 35-0. 05/1995 What's in a Relationship: On Distinguishing Property Holding and Object Binding, ISCO 2005.